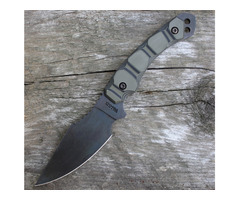 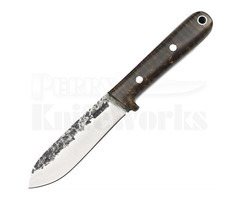 This Dirk Pinkerton LMRK (Light Multi Roll Knife) has a acid washed trailing point blade. 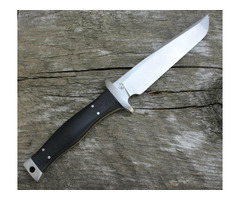 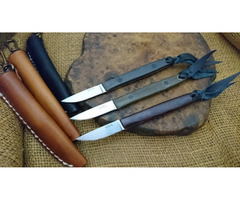 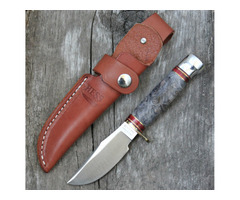 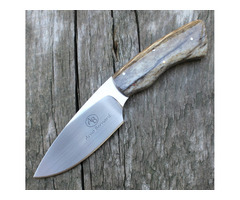 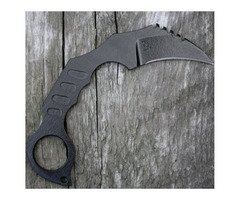 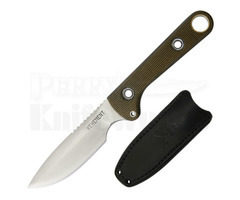 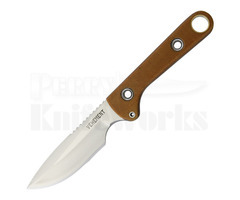 It is made from D2 tool steel and it features textured black G-10 handle scales. 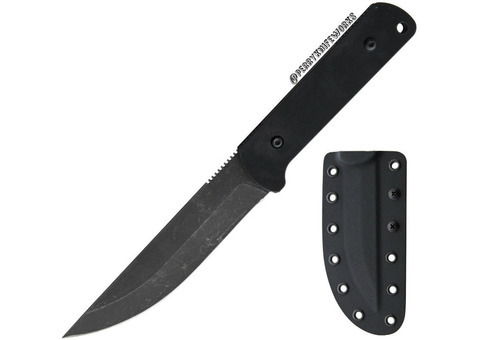 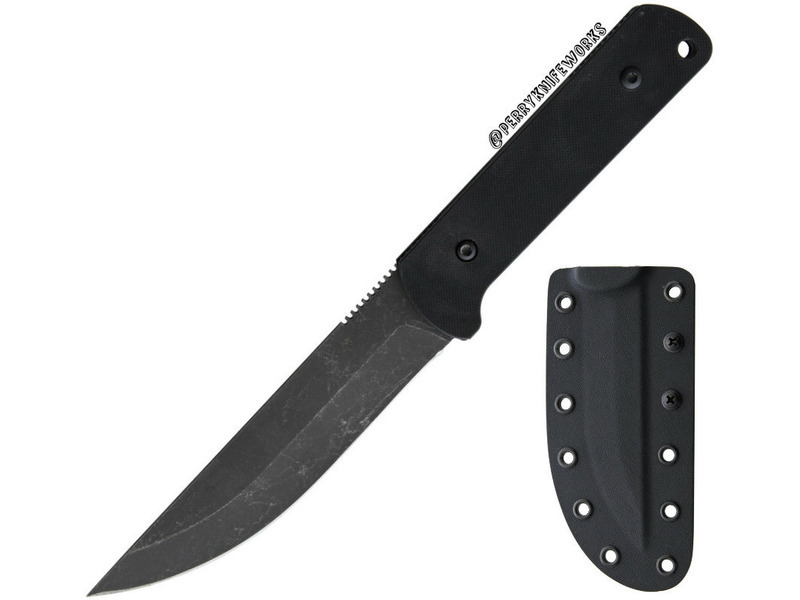 The knife comes equipped with a black kydex sheath with holes for lashing and tek-lok belt clip for multi belt carry options.